From I71, ex 57, left on HWY 35, to Rt on HWY 227, travel thru New Liberty and Wheatly to Bucks Run on Right, go appx, 2 miles, farm on left, see sign. From Carollton, take HWY 227 from I71, 4 miles right on Bucks Run, 2 miles, farm on right, sign. 66.5 acres, line, fenced, old barn, pond, and stream. Cattle on property. Travel down a quiet country road, listen to the fresh running stream, see cattle grazing on the hill side and you could experience the "way it used to be". 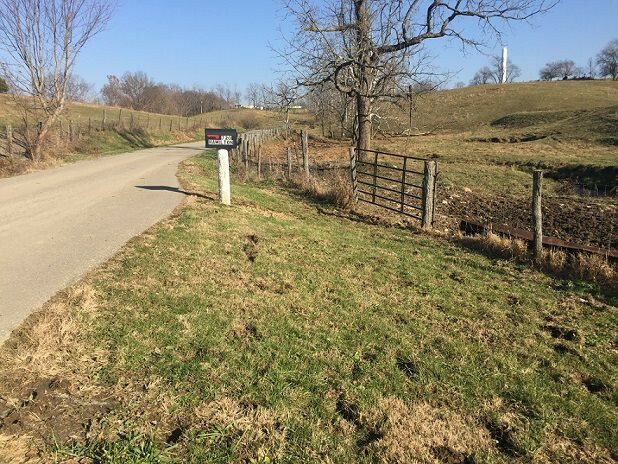 This farm offers grazing land and some tillable ground. Panoranic views on the ridge.